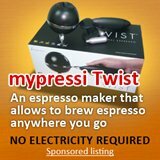 espresso coffee maker -most expensive? 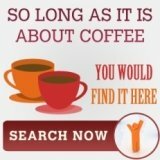 Single espresso coffee maker that cost more than $10000! 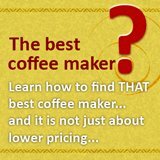 Yes, an espresso coffee maker that cost more than $10000! You are reading correctly, in fact, it is a single serve coffee maker, which make it even more expensive. Who in the world would buy such an expensive machine? Obviously, this is not for home consumption, this single serve coffee maker is meant for the retail scene, at this price tag, it is several notch higher than some fully automatic espresso machine, so what is this machine? a. Similar to an espresso coffee machine, hot water is added to the coffee grounds. This hot water comes from the 4500 watt boiler inside the Clover. b. Upon steeping, a piston moves upwards. This would create a vacuum beneath it. c. And it is this vacuum that draws the brewed coffee down. It would pass through the screen and the valves of the piston, filtering out the grounds. d. Then, the drain valve would open, and the piston moves down, dispensing the fresh coffee into your mug. e. The piston then moves to the top of the brewing cylinder, and the used grounds can be easily wiped off. It does not matter that all these sounds very complicated. 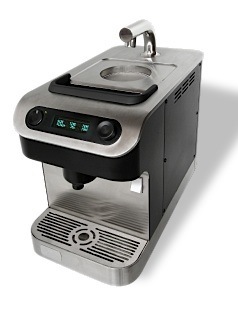 This clover espresso coffee maker is armed with an easy to use yet comprehensive set of buttons. All it takes is a few press of buttons and you could get the coffee you want. Perhaps more interesting than how a Clover works is why would anyone wants a clover? Why not get an a full service espresso machine? Well, that would mean you need to tamp, grind, and adjust dosage just to get a single cup of espresso. With the clover, this espresso coffee maker calculate everything right down to the smallest details. So that, you can get cups after cups of same standard espresso, or change the drink types as you go along. Of course, after reading more about its ability, you probably need not asked me why choose a clover instead of a drip coffee system. Well, the single serve function of this clover espresso coffee maker ensures almost no wastage. Compared this to approximately 30% pour away from the drip coffee system when the coffee turns sour or burn, the Clover is much more savvy investment than a simple drip coffee system in the long run. Expensive or cheap would largely depends on the value that it is able to deliver to its users. 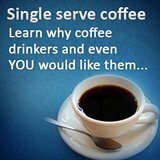 Wanna know more about coffee makers?